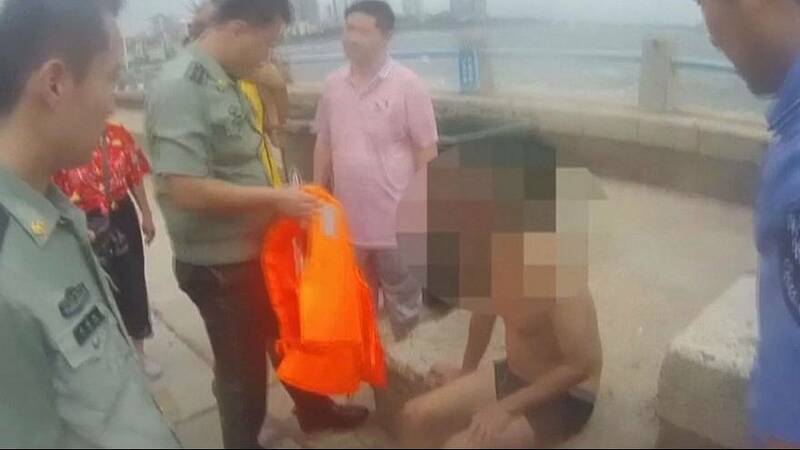 Police officers rescued a swimmer from rough sea in Qingdao City of east China’s Shandong Province last Thursday. The swimmer was violently washed up and down by roaring waves which could have devoured him at any moment. Shouting to the swimmer to catch the life ring and hold tight, the police officers quickly put on life jackets and jumped in the water with equipment to start a rescue. After nearly half an hour of unremitting efforts, the police officers finally grabbed the swimmer and managed to drag him onto land. The swimmer, a local resident, went into the sea after drinking alcohol.